I had the opportunity to attend a workshop last week, sponsored by Dice, TMP Government and the Partnership for Public Service, which centered on how to effectively build talent pipelines for your agency. Much of the content was centric to the federal sector, but as always it contained some relevant information for public and private alike. In addition to a lineup of well-informed speakers, they also included a panel of young professionals that helped drive home the message of the day: Recruiting needs to keep evolving. While typical recruiting challenges affect both sectors, the public sector faces a unique set of challenges due to the nature of the work they perform and the clientele they support. Whether it’s finding people who are clearable, identifying candidates with specific past experience, low salary budgets or limited access to social platforms, these challenges also require the right people who can seek and land out the talent needed. The long-time rally cry about competition from the private was typically focused on the fact that the private sector’s ability to land talent with large salaries and benefits not afforded to federal agencies. However, that thinking is now being diminished by the real culprit…time. The length of the hiring process, which can be slowed either by the clearance and security process or general bureaucracy is, in the words of one attendee “killing our ability to hire”. The private sector’s ability to spice up their job descriptions, and infuse technology into the talent attraction process has also put public sector recruiters into a tough spot. There is an overwhelming feeling that the current job descriptions are “antiquated”, and need to be wholly revamped. That would be a huge boost to the public sector effort to attract the best and brightest of the next generation, particularly those with STEM degrees, which are in demand in all sectors. 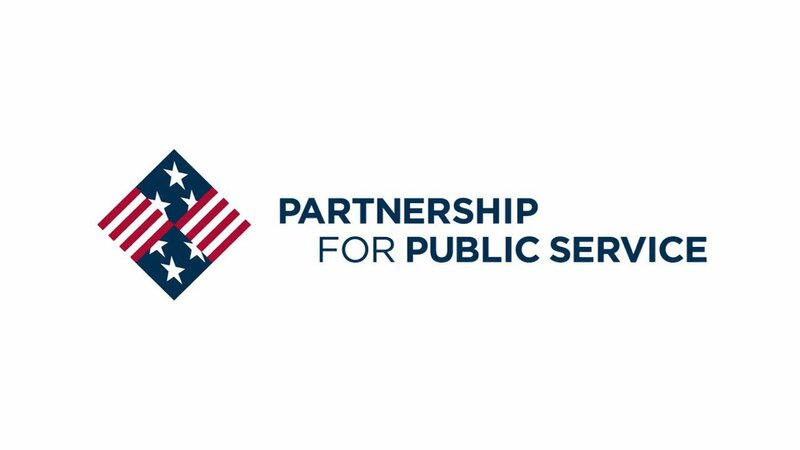 While pockets of this could be achieved on an individual agency level, this will likely require a much bigger employer branding effort on behalf of the federal government. But it would help to even out the playing field quite a bit. Dice recently conducted a sentiment study (Jan 2015) gaging the experience and perceptions of tech candidates. The findings were clear, if not overly surprising. Candidates overwhelmingly continue to plead with recruiters to stop the spamming brigade and get to really know them. They want to be intelligently approached and want the person contacting them to really have an understanding of their skills, as well as those needed for the job. They want communication that is personalized, and comes across as authentic. “Hi [<name>] isn’t cutting it anymore. Social isn’t going away. It’s guaranteed to keep evolving, but it’s not leaving the recruiting landscape anytime soon. Candidates expect recruiters to be viewing their social profiles online when recruiting and researching them, particularly when they feel like recruiters should be personalizing their approach. They don’t see any taboo in recruiters viewing information that is publicly available. Recruiters have more options available to them than ever before to get a 360-degree view of candidates that they are targeting. From social aggregators like Dice’s Open Web, to free google extensions that can help identify the social profiles of their candidates. With almost 33% of the workforce becoming eligible for retirement in 2015, hiring demand will only increase. Knowledge is king, and social media contains a plethora of information. A local federal agency (sorry, can’t disclose the agency name) is doing an impressive job leveraging social media in its efforts to engage candidates. They are leveraging social media to communicate with potential employees. Offline, they are utilizing brand ambassadors on campus to spread the culture and message via word of mouth. They have a mission, and they want to tie that to the wants and needs of those they want to target. It’s not just about open jobs. It’s about who they are, why what they are doing is important, and all of this allows them to showcase it for candidates. In the end, candidates want a place where they can feel there are others like them there. I’m impressed with how this agency has done this, and they are certainly a model to be followed. The federal sector has some work to do in order to stay competitive in the employment landscape. They will need to embrace innovation and technology to continually reduce the gap between themselves and the private sector. Thanks to Dice for the invite to the workshop. It was a tremendous event. As someone who has spent virtually his whole career in the private tech sector, it was enlightening to see how the recruitment challenges and trends are so very similar.